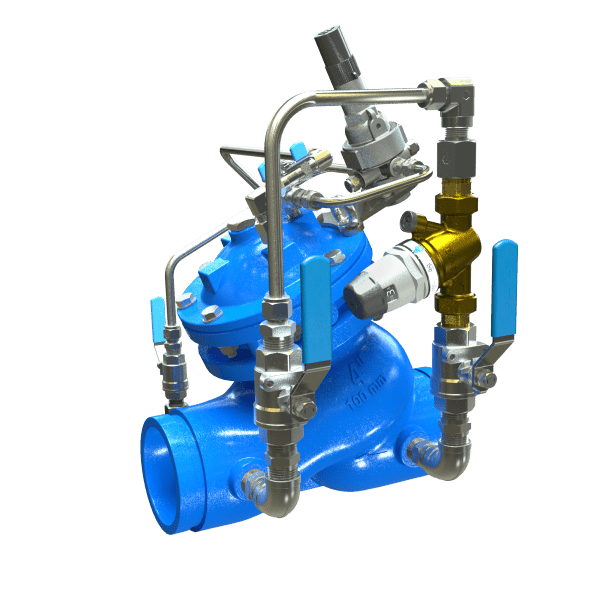 Hydraulically operated, diaphragm actuated pressure reducing control valve that reduces a high upstream pressure to a lower constant downstream pressure, regardless of fluctuating demand or varying upstream pressure. 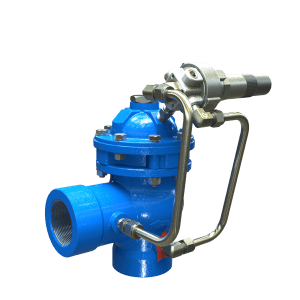 the model includes an off peak flows by-pass regulated with a Direct Acting Pressure Reducing valve mounted on the valve body. 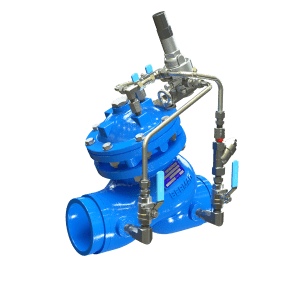 Two-way pilot and control loop that continuously sense the downstream pressure and immediately control the valve accordingly – stable, reliable and accurate pressure modulation in wide range of flow-rates and varying pressure. Pilot and control loop constructed from heavy duty environment friendly materials – long lasting and reliable operation. 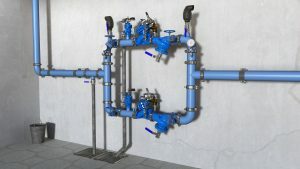 Pressure Reducing Station, featuring BERMAD BC-720-2B-P valves to reduce high incoming pressure to a lower downstream set-point, a redundant, parallel branch to minimize the possibility of total water shut-off. The embedded low flow by-pass saves on installation of another small flow branch. For information on the other BERMAD products in this system please see the product data sheet for the BERMAD BC-73Q-P and BERMAD BC-70F-P.